This story was updated on Dec. 10 at 3:15 p.m. ET. NASA has delayed the launch of its new infrared sky mapperby at least a day, with liftoff now scheduled for no earlier than Saturday. The Wide-fieldInfrared Survey Explorer (WISE) is now slated to launch on Dec. 12 between9:09:33 and 9:23:51 a.m. EST (1409 and 1423 GMT) from California's VandenbergAir Force Base. The flight was already threatened by cloudy weatherpredictions for Friday, and now NASA has decided to push back the launch toallow engineers to troubleshoot a glitch in a booster steering engine on the DeltaII rocket slated to carry the observatory to orbit. Unfortunately, thick clouds and rain are still forecastedfor Saturday, with an 80 percent chance of bad weather likely to prevent thelaunch. "We've got some challenging weather ahead of us,"said launch director Chuck Dovale during a Wednesday briefing. If the spacecraft cannot launch Saturday, NASA will likely standdown for two days to allow the cryogenic cooling systems on WISE to cool backdown, and then try again. Conditions do look better for a launch attempt nextweek. "The weather finally starts to clear and break up forMonday and into Tuesday," said NASA weather officer Capt. Andrew Frey, Jr.
Other than cloud concerns, theobservatory is in good shape and prepared for its mission, managers said. "I can report that the instrument and the satellite isready to go, the flight team is ready to go, and that the operations team isready to launch and operate WISE," said Bill Irace, WISE project manager. "We're really excited about this. It's a matter of just the weathernow." 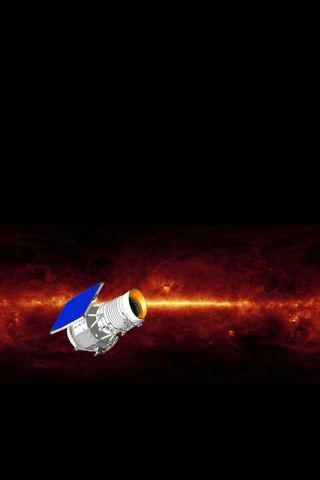 The $320 million spacecraft was designed to scan the heavensin long-wavelengthinfrared light, which can reveal dimstars, dark asteroids and other celestial objects that shine faintly invisible light but more brightly in infrared. The orbiter will scan the entire sky with a wide field ofview to create an all-sky map of infrared light in about six months. "It will represent the infrared motherlode thatastronomers will mine for years to come," said Jon Morse, director ofastrophysics at NASA.